This entry was posted in Photo Challenges and tagged architecture, monochrome, Oak, photo101, photography, roof, tiles. Bookmark the permalink. Wow, this is wonderful! Simple yet effective, good job! Nice shot! 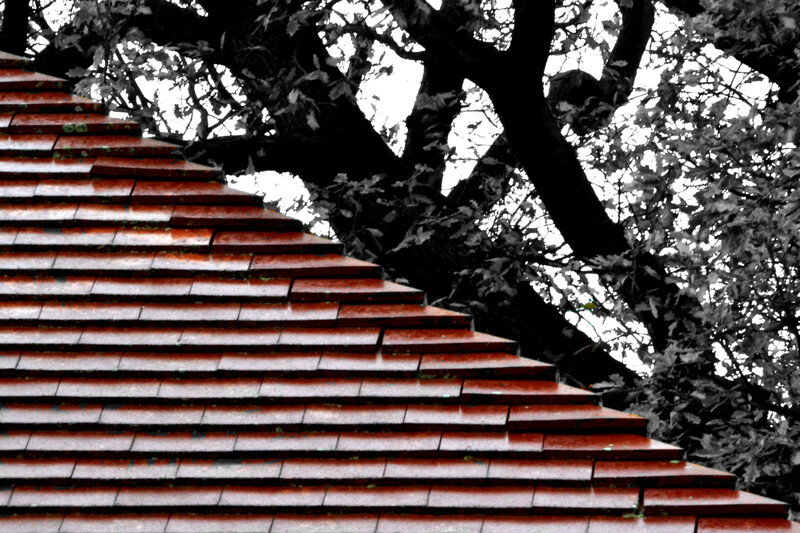 Like the red tiles and their angles. I love the contrast! It is fun to pick out colors! You did well! Thank you. Yes, I’m enjoying learning new tricks! Love the contrast! I have to catch up… thanks for the inspiration as well.